Author: Judit Rius Sanjuan, lawyer from Barcelona/Spain, is the US Manager of the Access Campaign at Médecins Sans Frontières/Doctors Without Borders in New York. The theme of the 19th International AIDS Conference that took place in Washington, DC a few days ago was ‘Turning the Tide Together.’ It captured the inspiring optimism and momentum around HIV/AIDS. Fueled by new science showing that a combination of prevention and treatment tools can start reversing the AIDS epidemic if implemented at scale, and buoyed by the achievement of having more than 8 million people on antiretroviral therapy (ART) in developing countries, public health experts and governments from around the world shared data and their visions for the future of the HIV/AIDS response. Many, including Doctors Without Borders/Médecins Sans Fronitères (MSF), welcomed the U.S. government goal for an AIDS-free generation. But the conference also illuminated the profound contradiction between these possibilities and some of the U.S. government’s trade policies. Central to these interventions is the need to scale up ART coverage to the more than 7 million people still in need of urgent treatment, and expanding programs to get people on treatment earlier, and retaining them long-term, so they stay healthier and are less likely to transmit the infection to others. And to achieve these goals, antiretroviral (ARV) drugs need to be available at affordable prices. Here’s where the contradiction comes in. The U.S. government is promoting restrictive trade policies that would make it much harder for patients, governments and treatment providers like MSF to access price-lowering generic drugs. So for one afternoon last week I left the conference center and joined thousands of people living with HIV, doctors, nurses, and activists from around the world to demonstrate in front of the US Trade Representative’s office and the White House demanding that the U.S. drop these demands. Of particular concern are the U.S. demands in the Trans-Pacific Partnership (TPP), a regional trade agreement that currently involves 11 countries (Australia, Brunei, Canada, Chile, Malaysia, Mexico, New Zealand, Peru, Singapore, United States, Vietnam, with collectively over half a billion people) and slated for further expansion across the Asia-Pacific region. Billed by President Obama as “a model not just for countries in the Pacific region, but for the world generally,” the TPP threatens to set a dangerous precedent with damaging implications for developing countries where MSF works, and beyond. Negotiations are being conducted in secret, but leaked drafts of the agreement outline U.S. aggressive intellectual property (IP) demands that that could severely restrict access to affordable, life-saving medicines for millions of people. Specifically, the U.S. is asking countries to create new, enhanced and longer patent and data monopoly protections for multinational pharmaceutical companies so they can keep competitors out of the market and charge higher prices for longer. For example, the U.S. government wants TPP countries to lower the bar for patentability, thereby granting pharmaceutical companies new patents on variations of old drugs with little therapeutic benefit for patients. These provisions could stifle the production of less expensive generic forms. And, the U.S. would make it impossible to challenge a patent’s validity before it is granted – a commonly used tool that helps to prevent frivolous and unwarranted patenting and which is vital to fostering an IP system that rewards innovations benefiting patients. The U.S. demands also extend patent monopolies beyond the traditional 20-year period and make it harder for generics to get regulatory approval, which will serve to keep generics out and prop up drug prices for longer. With these demands, U.S. is turning its back on existing commitments to promote public health in trade agreements and is undermining the sustainability of its own global health programs such as PEPFAR and international initiatives like the Global Fund to Fight AIDS, Tuberculosis and Malaria. Affordable generic medicines have played a crucial role in expanding access to treatment. The price of ART has fallen by roughly 99% since the year 2000—from over US$10,000 per person per year to below $150 today, a dramatic decrease that has been a lynchpin in enabling the scale-up of HIV/AIDS treatment in developing countries. Overall, more than 80% of donor-funded purchases of ARVs for use in developing countries (i.e. those purchased by PEPFAR, the Global Fund, UNICEF and UNITAID) are generics from India, including 91% of those formulated for children. Looking ahead, demand for newer HIV treatments is growing fast. 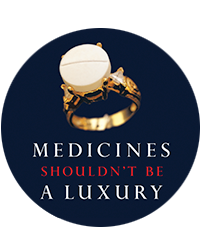 It is estimated that almost half a million people will need second-line medicines by 2012, but today the most affordable second-line regimen is still two times as expensive as the recommended first-line regimen, and the price of a third-line regimen is more than 14 times higher than the recommended first-line regimen. Access to these ARV drugs will largely be contingent on the same price-busting generic competition responsible for the first wave of AIDS treatment scale up. The TPP’s provisions, aimed at creating stronger and longer monopolies and making it more difficult to use legal tools to promote access to generics, could cut off access to these lifesaving medicines for millions. But this is not only about HIV/AIDS. The effects of the TPP and the U.S. trade demands will also impact prices for drugs used to treat a wide range of other diseases. In advance of the International AIDS conference, the United States Trade Representative Ron Kirk asserted that the U.S. is “working hard to find a balance between protecting IPR and ensuring access to medicines.” But representatives from over 600 business interests, including big pharma, have access to the details of the TPP negotiations, while treatment providers and public health advocates do not. In reality, the balance has tipped dangerously far away from public health protections towards protecting the profits of pharmaceutical firms. So I was one of those demonstrating, urging the U.S. government to withdraw these onerous provisions from the TPP, to make good on the U.S. government’s existing public health commitments, and to increase transparency in TPP negotiations. At this pivotal moment in the fight against AIDS, when the scientific, medical and policy tools needed to reverse the epidemic are finally at hand, I and all the other demonstrators are outraged because the U.S. government’s demands in the TPP will threaten so much of what has been achieved so far, and will make the vision of an AIDS-free generation impossible, or at least much more expensive. These demands simply cannot be reconciled with the urgent need to expand treatment to the more than 7 million people who desperately need it today, let alone with achieving the vision of ending the epidemic. This article originally appeared on the Speaking in Medicine Community Blog at PLOS Blogs.